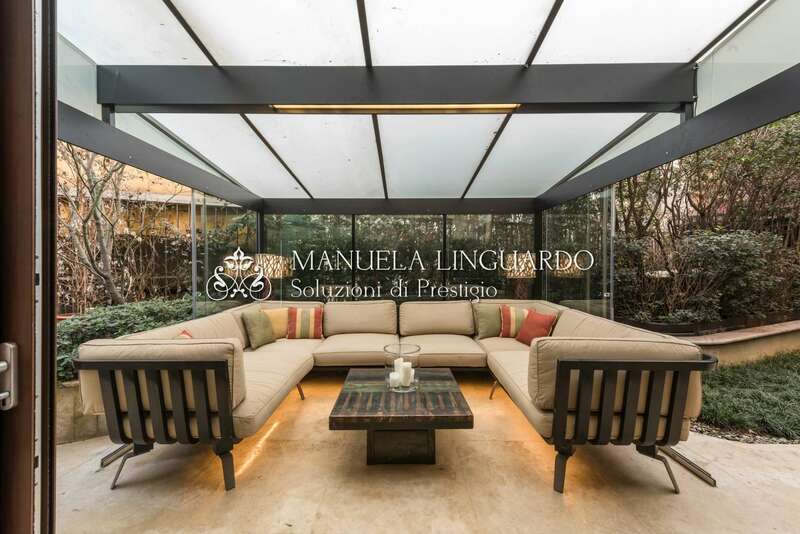 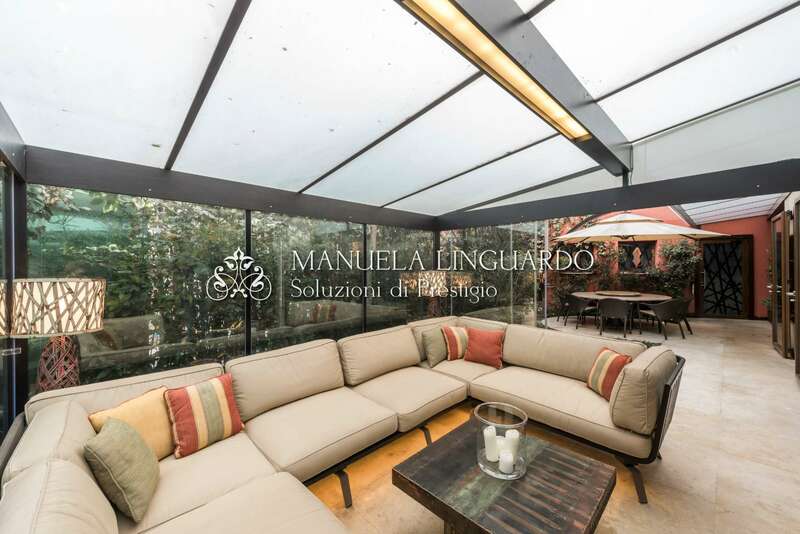 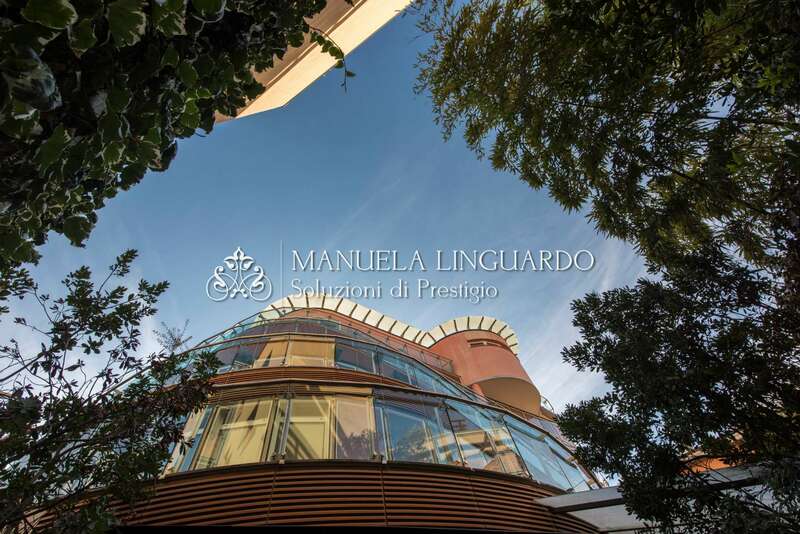 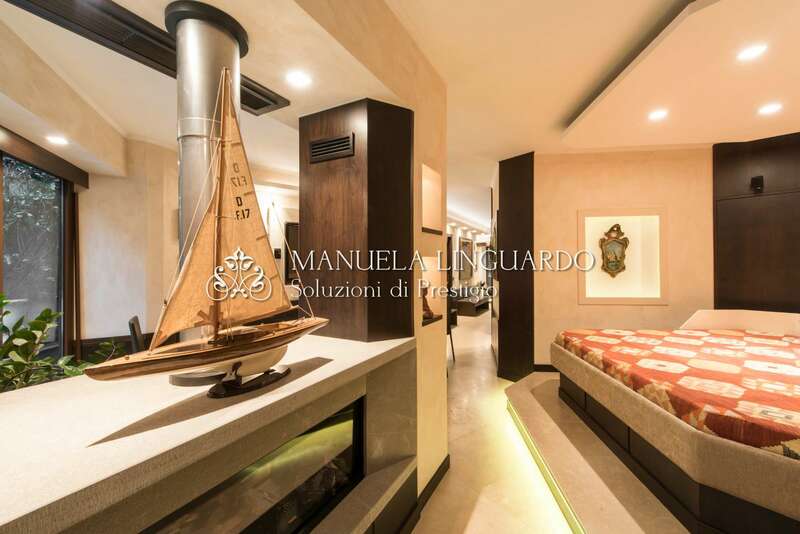 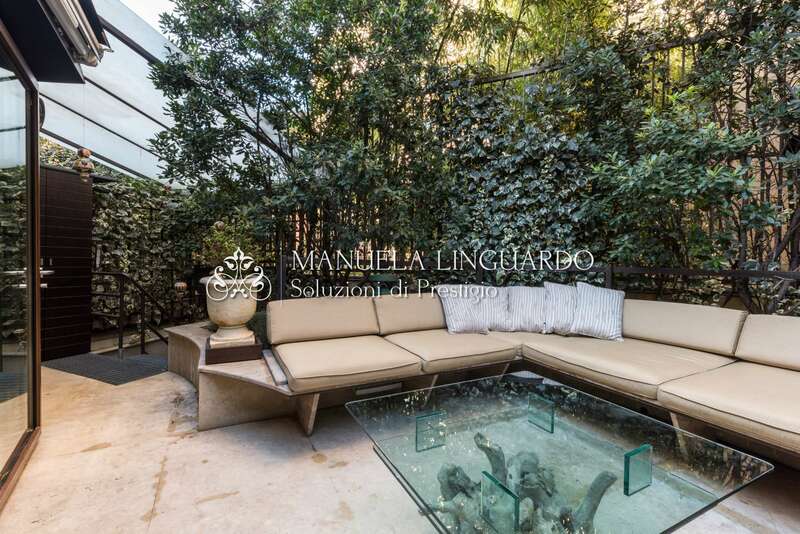 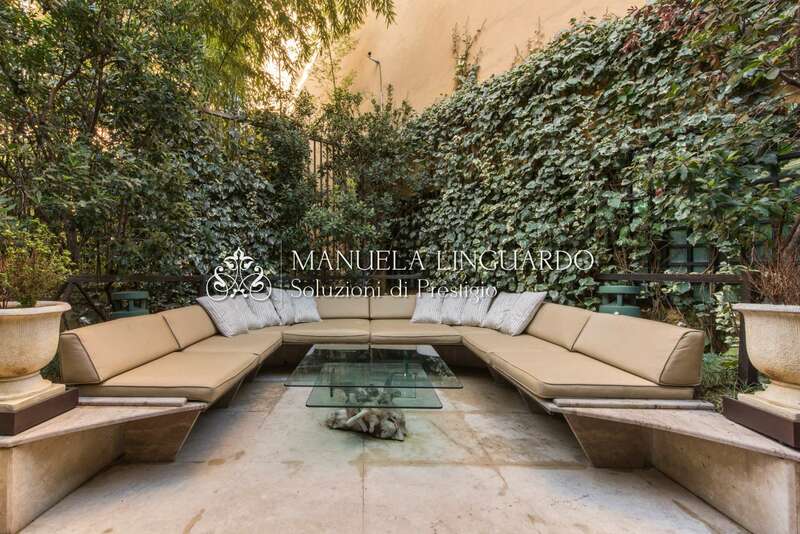 Close to piazzetta Mondadori, very precious 125sqm apartment with two private gardens of 98sqm and 47sqm respectively. 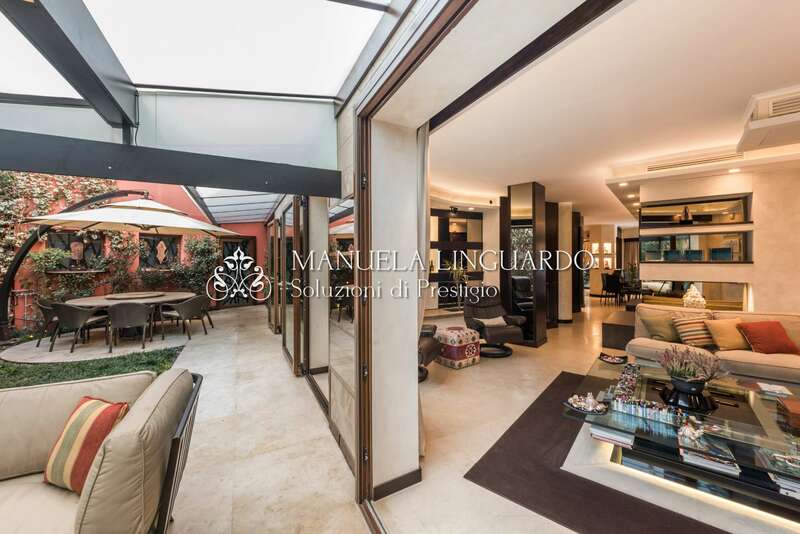 The apartment is internally composed of a double living room, dining room, kitchen, master bedroom with en suite bathroom, second bedroom, guest bathroom, gym on the basement floor. 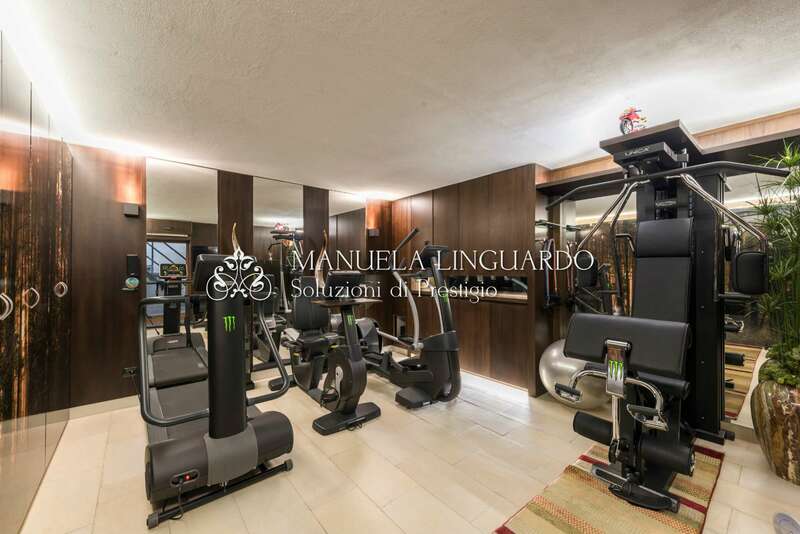 Home automation system throughout the apartment, walnut-colored aluminum frames with shatter-proof athermal glass, Sicilian stone flooring, walnut paneling, hydromassage bath with chromotherapy, Turkish bath, gym with Tecnogym equipment. 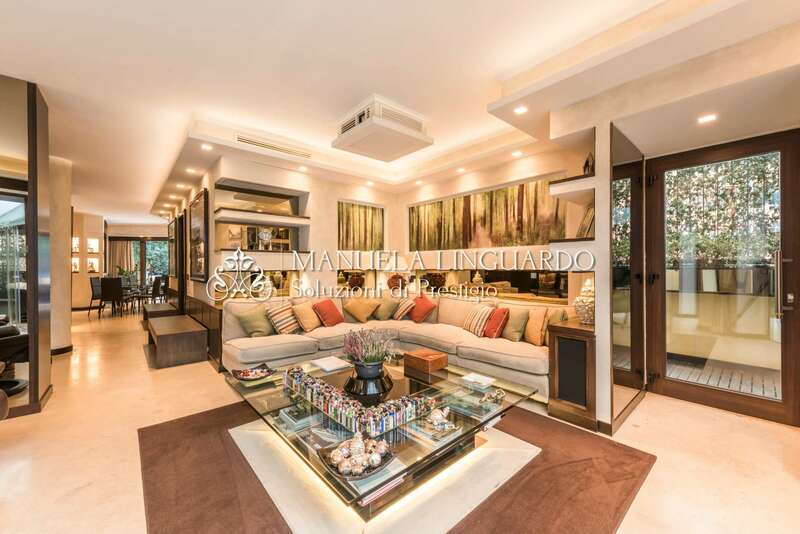 Newly built condominium with concierge, video surveillance, lift to the floor. 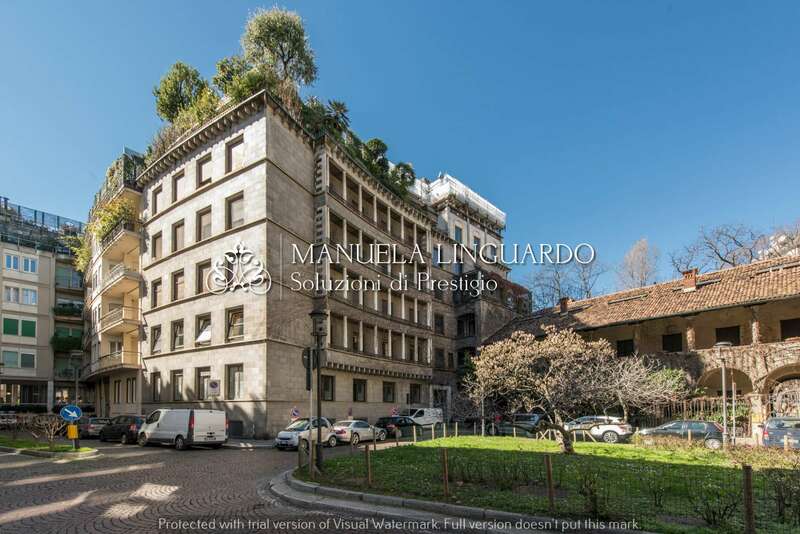 Possibility of double garage in the building.